This post was originally written during my 2 1/2 year tenure as a blogger for HEALTH GOES STRONG. The site was discontinued in July 2013, but you can read the blog here. Concern about food safety should not end once we bring food into our homes. Germs and bacteria can grow on kitchen surfaces, in appliances and on food if they are not properly handled and cleaned. The risk of food borne illness from germs and bacteria in our kitchens is even higher for those who are frail or have compromised immune systems, so extra precautions are needed for the elderly, small children pregnant women and those who are sick. These 6 Tips to Kill Germs and Bacteria in Your Kitchen should be added to the other safety precautions you take to prevent food borne illnesses. Pour unused hot water from the kettle over them in the sink. 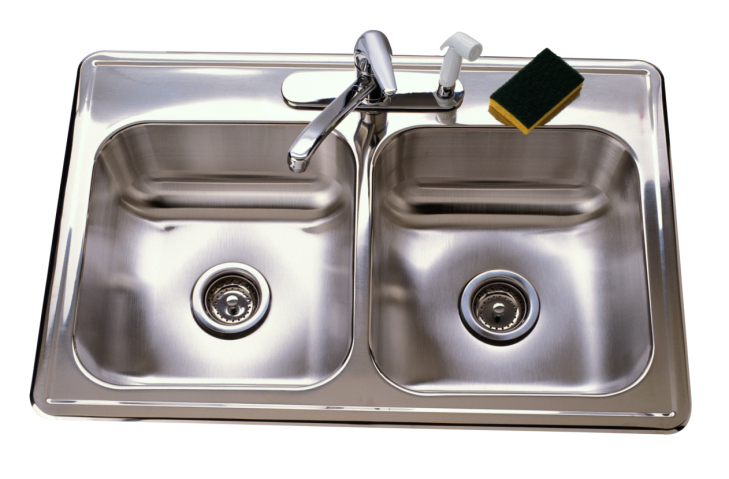 Sinks & Faucets – Sinks have the combination of moisture and uncooked meat juices that make a breeding ground for bacteria, whether stainless steel and cast-iron. Scrub sink, drain and spigot with disinfectant daily. Faucets can hold water that has been sitting in the pipes for long periods of time breeding bacteria. Run the water in sinks and showers for a full minute before the first use of the day or if they have been idle many hours. 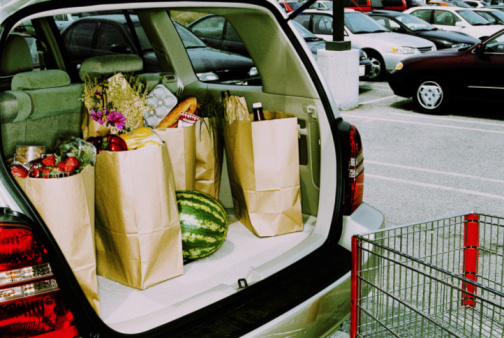 Grocery & Newspaper Bags –Grocery bags – whether paper or reusable – they have been in contact with the grocery store check-out counter, the shopping cart and the trunk or floor of your car. When you place them on the kitchen counter you transfer the germs they have collected along the way. Sanitize any surfaces they have touched with a solution of 1 part bleach to 10 parts water or a disinfectant immediately after unloading. Newspaper bags have been handled by the delivery person then tossed on your lawn or driveway. Don’t put them on any surfaces if you can avoid it. Remove the bag immediately and add it to the recycling bin. Fruit & Vegetable Skins – Skins that are going to be removed from fruits and vegetables have been exposed to many agricultural products and even more handlers from farm to market. Even though the exterior will be discarded, you can cross-contaminate the edible portion just by cutting it or placing the edible portion on the same cutting board used to cut it. 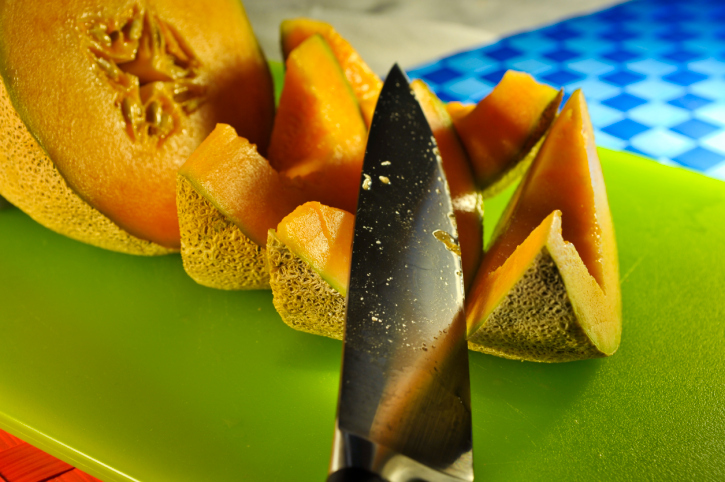 Wash the exterior or all fruits and vegetables before peeling and cutting and clean the cutting board after removing skins and peels, especially for melons and winter squash. Wash all citrus fruits before zesting the rind. 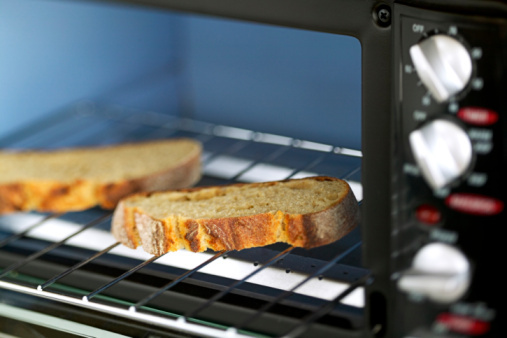 Toasters & Toaster Ovens – Toasters collect crumbs that will attract insects and rodents if they can get to them. Open the trap on the bottom of the toaster after every use to shake out crumbs. Wipe out bottom of toaster oven or use a tray to collect debris and clean it after each use. You & Your Family – Hands are the dirtiest thing to come into contact with your food once it is in your home. Wash your hands before handling food in warm, soapy water for at least 20 seconds and dry with paper towel. Wash again after handling any uncooked meat, poultry or eggs. 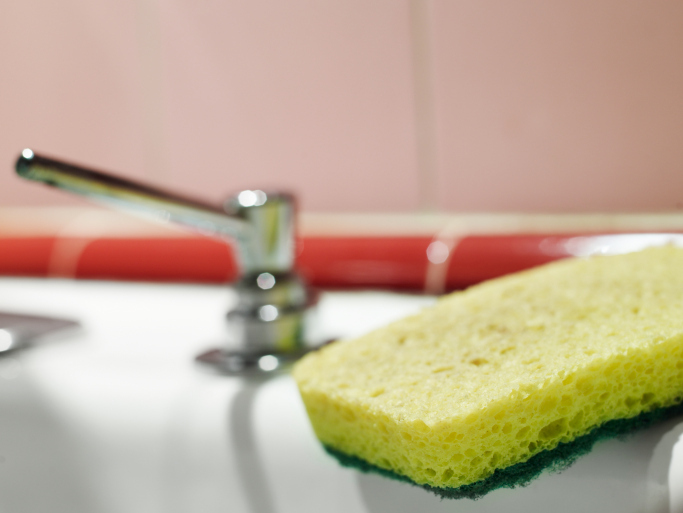 How are you controlling the germs and bacteria in your kitchen? Posted in Diet and Disease, Food Preparation, Food Safety, Food Shopping, HEALTH GOES STRONG, Health Risks and tagged bacteria, food poisoning, foodborn illness, germs, hygiene, sanitation.